We all know how important it is to get your brand out there. But for many small businesses, it’s also very expensive. Trade shows, in particular, can end up costing a fortune. And often the investment doesn’t yield a sufficient return. Just renting space at a trade show can run into thousands of dollars. Not to mention the extra costs of the custom display, the free giveaways, and the labor costs. Companies spend big because they want to garner the most attention. But, believe it or not, there are ways to get the costs of a trade show down. And you don’t have to sacrifice on market appeal. It’s all about creating a buzz around your product, not flashy marketing material. There’s no doubt that trade shows are a uniquely valuable way to advertise your business. But they need not break the bank. Here are some tips for exhibiting on a budget. There’s nothing that says that bigger booths are the ones that get the most attention. They’re usually only used for companies that need more physical space to showcase their products. What’s more, you’ll likely pay a lot more than you would for a smaller booth. Affordable options include banner displays, tabletop, and portable. And if managed correctly, you’ll gain the attention of attendees who will remember you well after the event closes. Just because your booth is small, doesn’t mean that it can’t be eye-catching. It’s often well worth spending the money on having a professional graphic designer to brand for you. This is needed to grab attention from delegates whose eyes are drawn to other places. Social media is fast becoming an impressive marketing platform. That’s no secret for modern, 21st-century firms. So what better place to advertise your trade booth? Broadcast on social media your location at the trade show and your booth number. Tell your followers the date and the time of the event too. At trade shows, every booth tries to do everything it can to grab attention. Some booths give away bags of merchandise in order to get people to stop by. They’ll give out bags full of branded pens, flashlights, mugs and even their own branded food. But, as with most things at a trade show, this is expensive. One of the things that you can do to reduce costs is to hold a competition. You could give away some of your product. Or you could offer free tickets to a concert. It just needs to be something that creates a buzz around your stall and your product. Make sure that you do the prize draw towards the end of the day so that you can include the greatest number of people possible. And make sure that you get a crowd to gather as you’re reading out the result. Use it as an opportunity to market your product and let people know your unique selling point. There is no reason why your company needs to buy expensive, brand new displays when cheaper alternatives are available. Sites like infinityexhibits.com do second-hand displays at a fraction of the cost. Remember, thousands of companies have bought and used trade show displays. That means that it’s likely that there is one that suits the needs of your firm. It might not be exactly what you wanted, but it sure will be close. There is also the option to rent a tradeshow display. This is something that is very helpful for companies that don’t want big displays taking up valuable space in their warehouses. Rented trade displays can just be returned to the rental company after the event. Renting also reduces your exposure to risk too. It means that if you do have a bad experience, you’re not saddled with a large item that’s hard to get rid of. 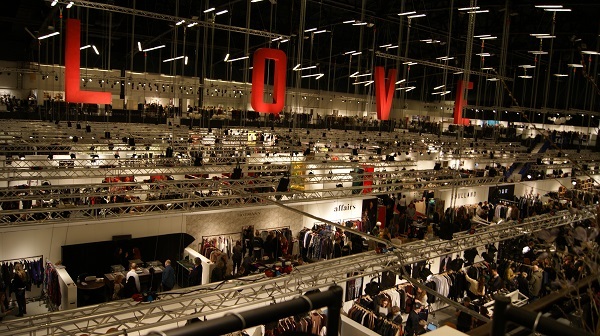 Trade shows aren’t just expensive in terms of their direct costs. They’re also very costly in terms of their indirect costs too. If you’re travelling around the country to far flung locations, your costs will rise. You’ll be spending more money on fuel, your vehicle will suffer more depreciation, and you may have to stay in a hotel. All these costs add up and can make trade shows prohibitive. That’s why it’s a good idea to keep it local, at least while you’re still small. You can find out what’s on at expodatabase.com. Plus keeping it local actually means you’re interacting with the people most likely to use your service.